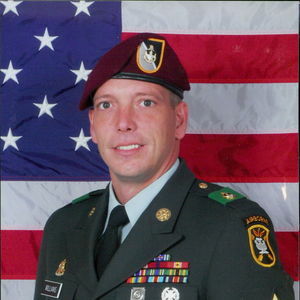 Obituary for Holland "Will" Franklin Williams, Jr.
Holland "Will" Franklin Williams Jr., 47, Army SSG of Bladenboro passed away on Monday, February 25, 2019. He was preceded in death by his father: Holland F. Williams Sr. Will leaves behind his mother: Connie Williams of Maryland; his loving wife: Ashley Carroll Williams, son: Ethan James "E.J." (as his dad called him) Williams, both of the home; two sisters: Barbara Acquaviva (Tony) of Maryland and Chris Smith (Bill) of Virginia; nieces: Megan Acquaviva, Abigail Acquaviva, Kristin Dearman (Garrett), Jan Musser (Brad), and Becca Smith (Ryan Murrell), nephew: Thomas Acquaviva, great nephews: Peyton and Braden. He also leaves behind his extended family: Penny and Joey Todd, Lee and Buffy Todd, James and Linda Carroll, Chris and Kelly Turner, Jena Babson (Jon Powell), Travis Babson, Trey Turner, and Greyson Babson. The family will receive friends from 12:30 -2:30 pm on Friday, March 8, 2019 at Bladen Gaskins Funeral Home in Elizabethtown. A graveside service will be held on Friday, March 8, 2019 at 3:00 pm at Center Road Baptist Church Cemetery in Bladenboro with Rev. Thomas Hunsinger and Rev. Dwayne Lambreth officiating. Add your thoughts, prayers or a condolence to Holland's guestbook.